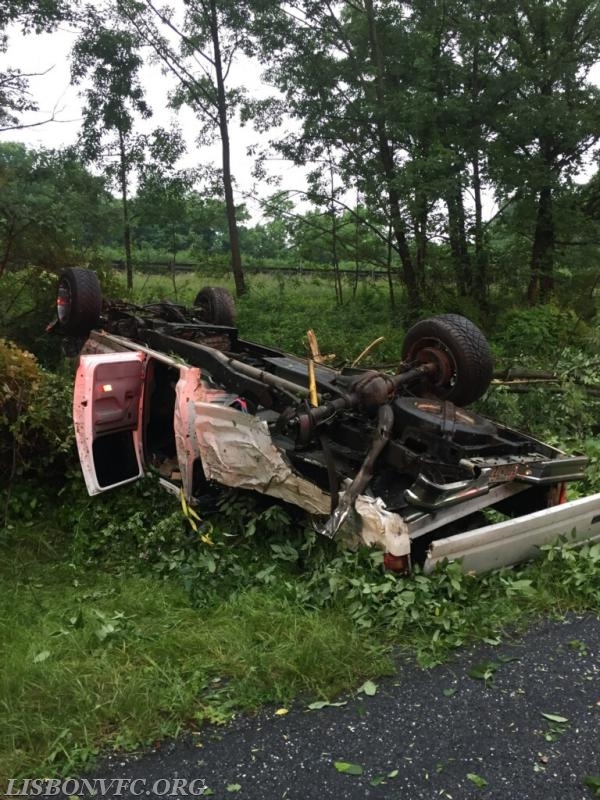 At just after 7pm on June 10th units from Lisbon and surrounding companies were alerted for a vehicle accident with entrapment in the area of Old Frederick Rd and Beetz Rd. CF4 quickly arrived and set up command for the incident. After surveying the scene it was determined that all occupants had made it out of the vehicle and there were only minor injuries. RE4 and P45 arrived shortly after and assisted in assessing the patients who ultimately refused transport to the hospital. E41 cleared the call to be a first responder on an unrelated medical emergency in the first due. Units operated on the accident scene for approximately 30 minutes. 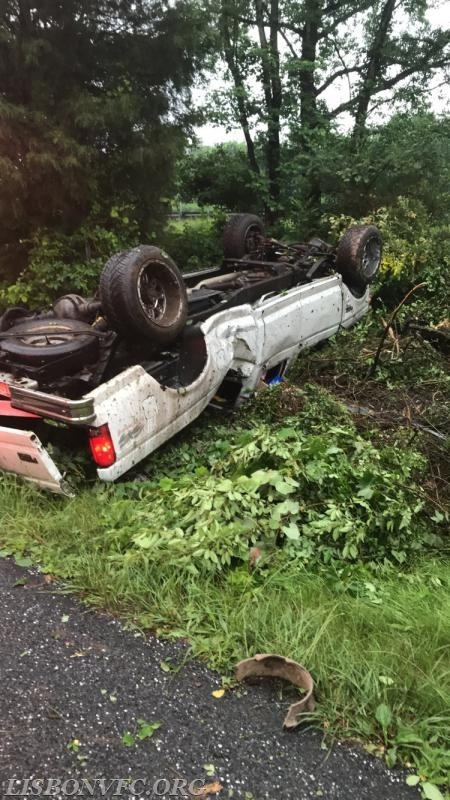 Water in the roadway is believed to be a contributing factor that played a role in the accident, however the scene was turned over to HCPD for further investigation.